The Air Jordan 3 “Triple White” will be releasing on July 21st, 2018. 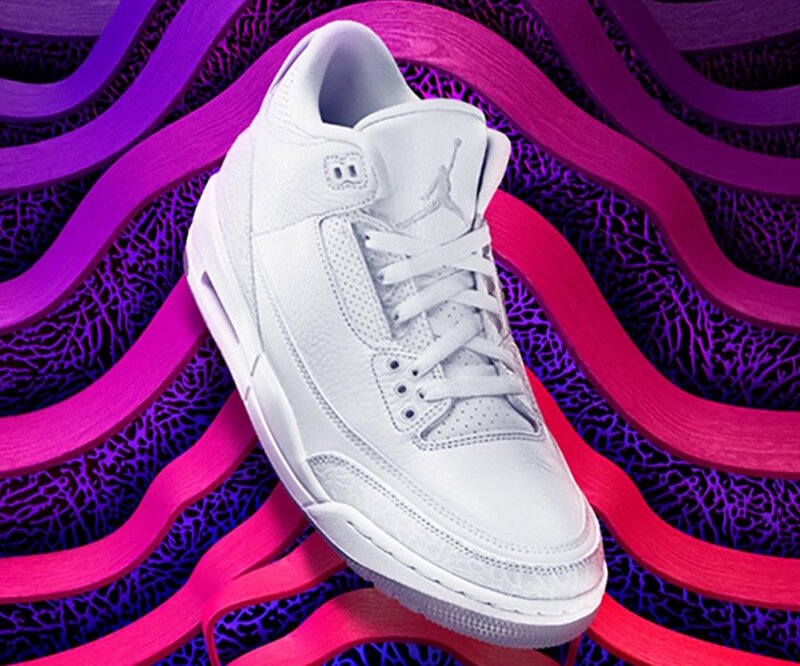 Similar to the Pure Money colorway from the early 2000’s, The Air Jordan 3 “Triple White” is slightly different as it features a full on white upper with not a trace of silver like the P.M. Perforated tongues are given to this AJ 3, with Jordan branding on the tongue. 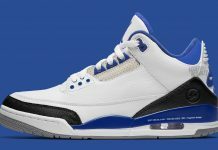 The Air Jordan 3 “Triple White” is set to release July 21st at Jordan Brand retailer for $190 USD.